Fergie stepping out in Paris where her and her band mates are on tour, IDK sometimes its a hit or miss with Ferg. What in the tar hills? Cameron Diaz arriving at Londons Heathrow airport, a cowboy outfit with a trench coat WOW! really where they do that at? Leave a comment has Cameron lost it or tryna get it back? Diddy and his twin girls stroll the park in California, these girls got big quick and they are cute to. 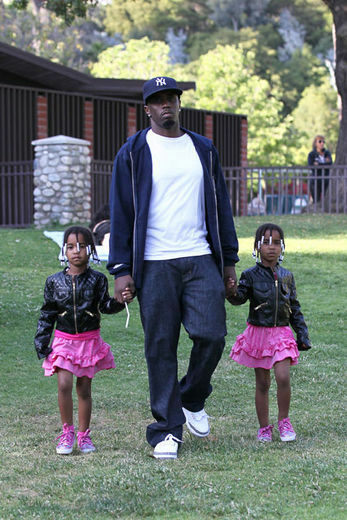 Awwh daddy Diddy! good look. 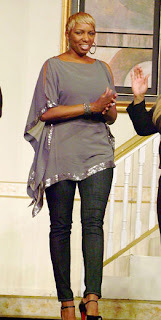 Nene Leakes in Miami Florida at a stage play "Loving Him is Killing Me", so this is what happened to her after she quit "Celebrity Aprentice". Im not sure about Nene and what she is tryna do, but all things come to light.